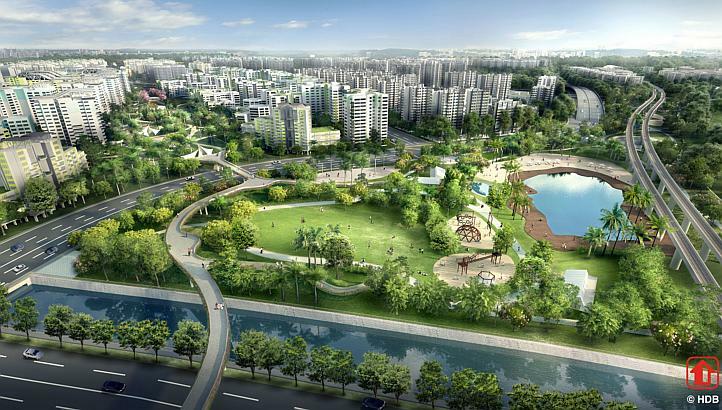 The present day Tampines New Town was formerly home to swamps, forests and sand quarries. Ironwood trees, commonly referred to as tempinis once grew in abundance in the area, hence it was given its present name. The district is a portion of a military training area up until 1987. The new town was founded in 1978. 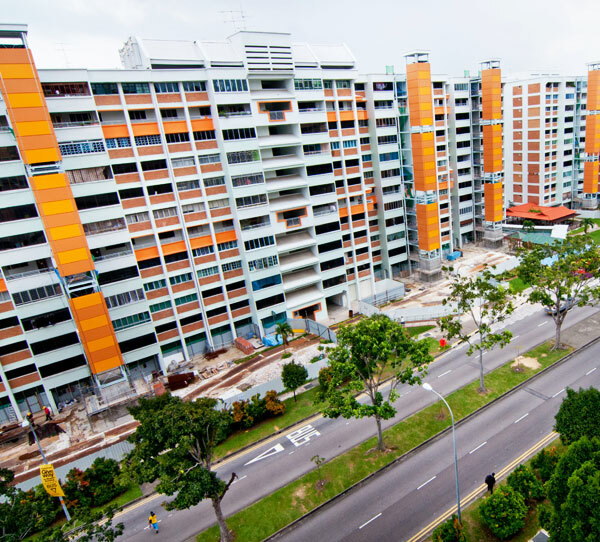 Construction began for Tampines Neigbourhoods 1 and 2 in 1983 and was completed in 1987; the construction process still took 3 years even though they were given priority. The construction of Neighbourhoods 8 and 9 was initiated in 1985 to 1989, which was followed by the construction of Neigbourhhod 5 which was completed along with Tampines Town Centre. Construction of Neighbourhood 4 was completed along with the new Tampines North Division. Construction of Neighbourhoods 3 and 7 was fully completed in 1997. Modern construction techniques sped up the development of the town’s overall infrastructure. Utilizing prefabricated house components, a block of tall flats could be constructed within just a month. More attractive motifs, polishings and colours were integrated into Tampines. The HBD (Housing Development Board) managed the assembly of the town until 1991, when the management was handed over to the Tampines Town Council. The Building and Social Housing Foundation (BSHF) of the United Nations gave the Word Habitat Award to Tampines which was chosen as a delegate of the country’s new towns on October 5, 1992. The award was bestowed in acknowledgement of a significant contribution to human settlement and development.